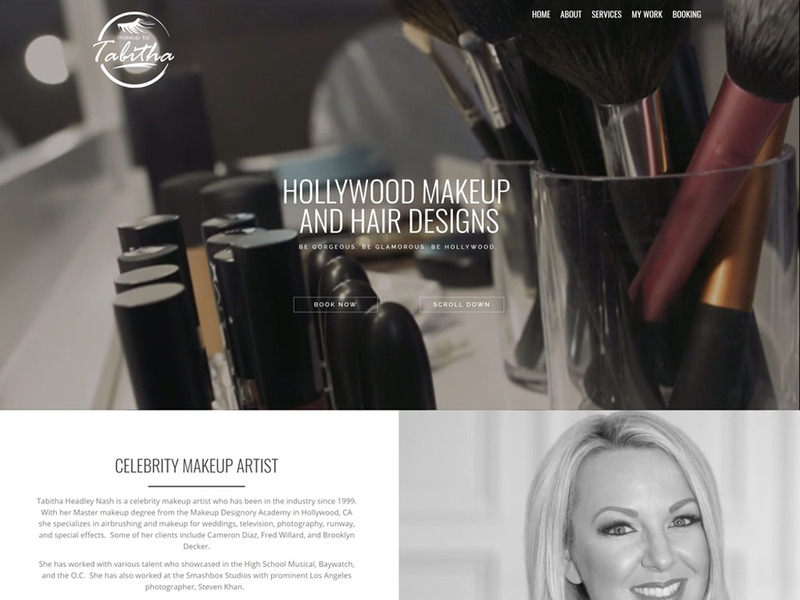 Makeup By Tabitha is a new business to Springfield where the owner had recently come from California and needed to get her name out to generate business. 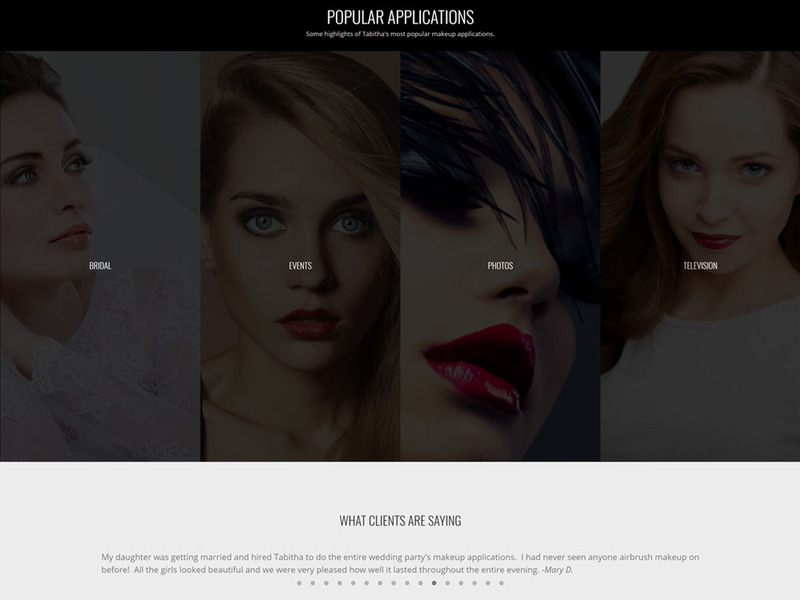 She had put together a website on her own using popular web tools but was unhappy with the results all around. 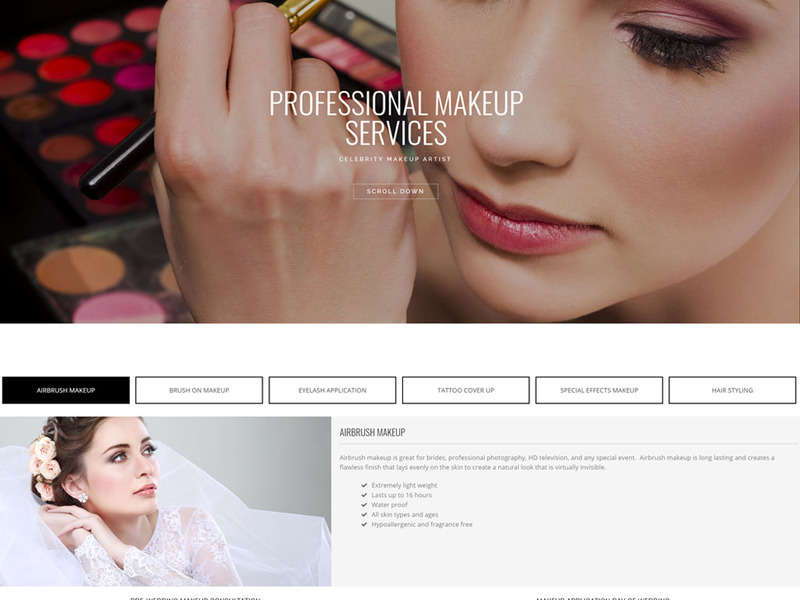 We did some digging to find out all the aspects of her business, her target market and the tools she desired for her new site.  Makeup By Tabitha did not require a large amount of content but more of a visual appeal to demonstrate their work. 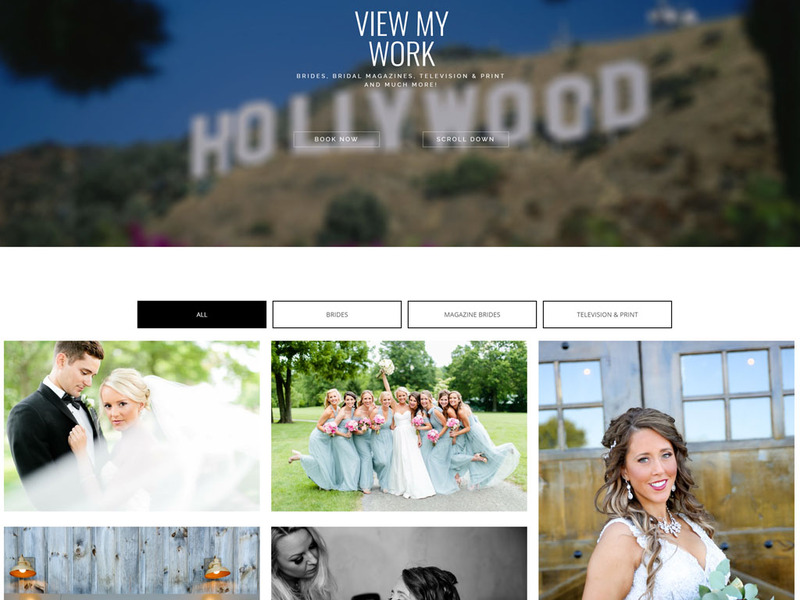 We put together a site that showcases their work and maximizes a creative/professional visual appeal throughout.